They are waterproof pants I had bought a couple years ago. I figured they would do just fine. On they went and away I go. Now I don’t do many overnight trips. Just have not been out there long enough to know the spots. 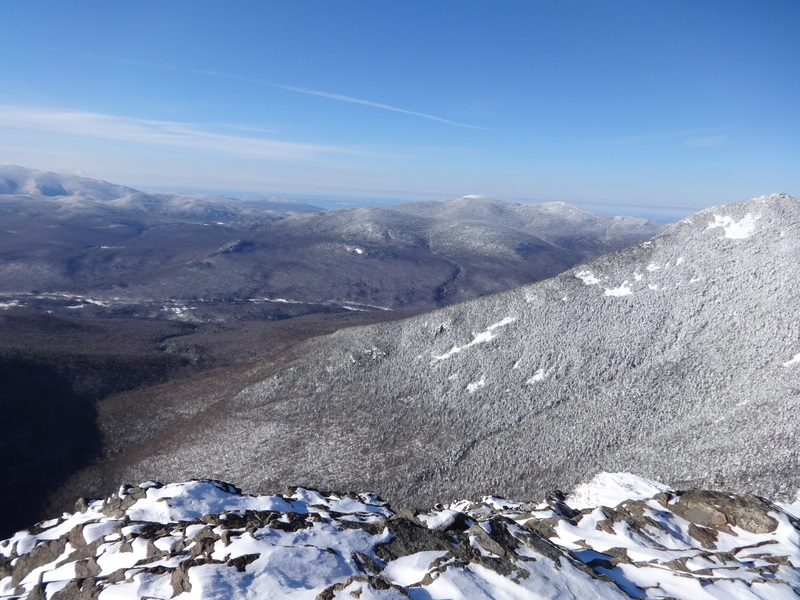 I have been all over the Pemi loop in day hikes by now though so I know a few great spots to camp. I would be fine… Now a pack that weighs close to 50lbs is not something I would have thought to affect my hiking too much. I was wrong. I was dead beat and remember the pants? Well they had no method of venting, rookie mistake on my part. I was soaked below my belt. Miserable. I knew these factors were already ending my trip nearly as quickly as it began. I lacked proper planning. I knew I would only get Flume, maybe liberty. Just thought I would put this out as a lesson for anyone who is in similar shoes. Shoot for the stars, but know when you are out matched. Here is my report for Flume. It was a cold morning after a week with moderate snowfall. I started hiking at around 17 Degrees. I was moving fast with a heavy pack. 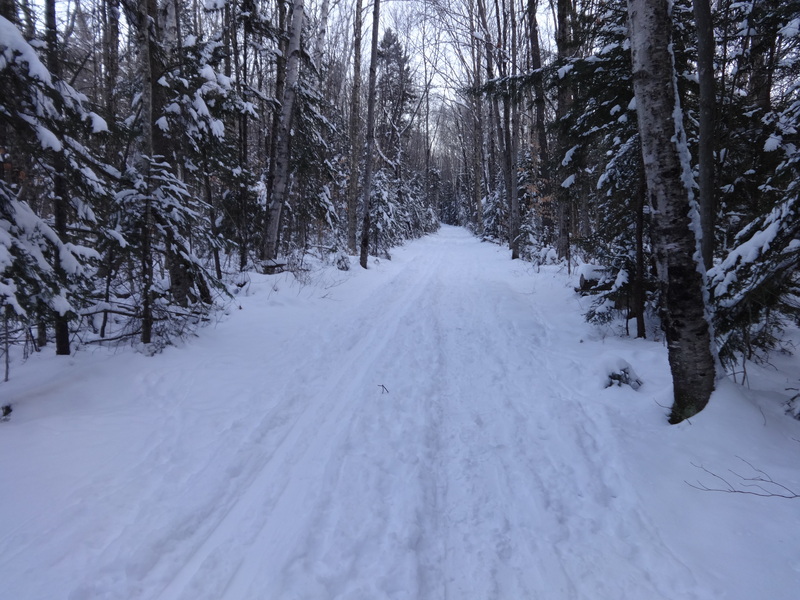 I worked over packed snow to the Osseo trail. For a time this trail was packed as well. After a short time I was left with a single set of tracks to follow. The Osseo trail was one that I had not used yet so I needed it for my redline list. It makes a gradual incline for a great distance as you climb to the backside of the ridge that connect to Flume. 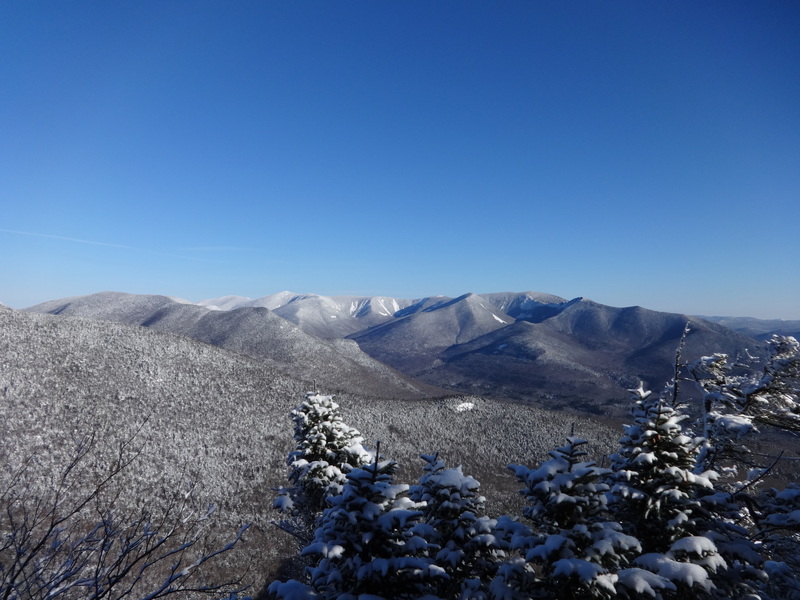 There is an outlook that affords fantastic views of the Pemi loop. 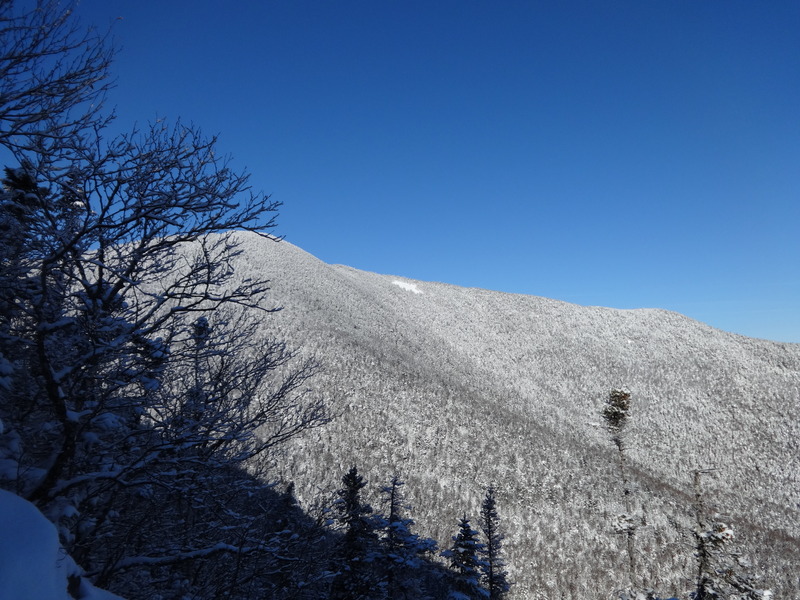 This is also the point the trail becomes steeper and winding as you start to climb towards Flume summit. There are the remnants of a staircase under the snow. Shortly after this the footsteps that I was following stop. This is where my predecessor turned around. 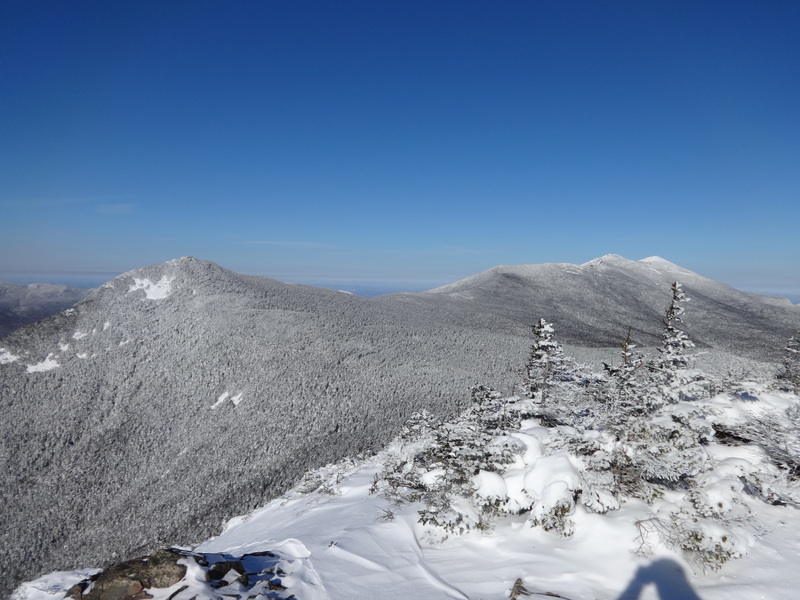 I put on snow shoes to help break trail to the summit. Once I got to the Flume slide junction I noticed another set of footsteps. 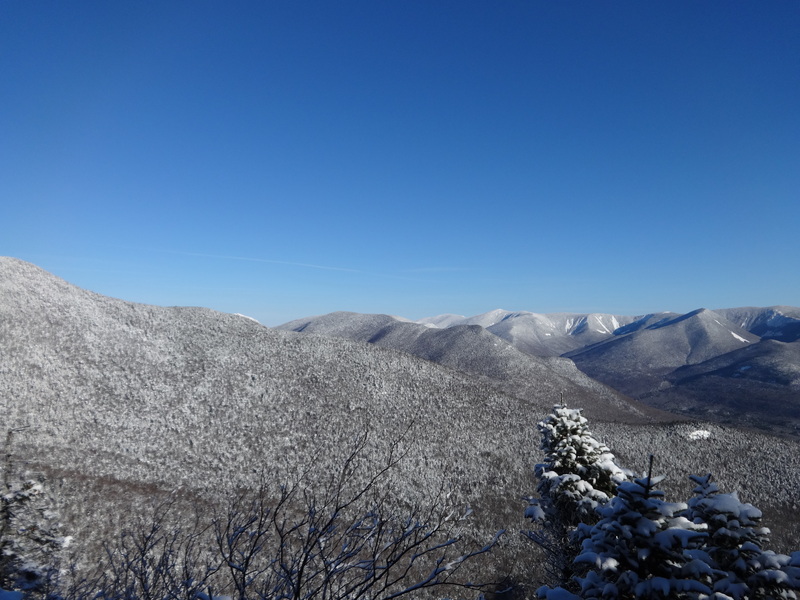 I made the last short climb to the summit where I got these amazing Bluebird sky views. I stayed up top for a short time. I decided not to go over to Liberty with the heavy pack. Perhaps I should have dropped it, but I was not feeling it at the time. I had a great hike, but I was tired from the extra weight. I figured I would drop the weight and try another hike that afternoon. I walked back the way I came. I encountered a few other folks on the way down. All happy for the weather and the great hiking day. On the way I stopped back at the back outlook. I enjoyed a snack. As I made my way back to the Lincoln woods trail I met a ranger who stopped and had a conversation with me. We both agreed that it was a pleasure to be in the woods as often as possible. I gave him my summit report and made my way to the car. Remember those pants I mentioned? When I returned to my truck I took them off to reveal mini snowballs of sweat inside. Note to self; don’t try out new gear on a big hike, especially when you know you have gear that works… I was glad I turned around. Great morning for a strenuous hike! As you can see the pack affected my time. Made for a tough morning. Smart decision, nice story, beautiful photos! You’ll make that loop someday!